After imposing tariffs on steel and aluminum, President Donald Trump took aim at Canada’s softwood lumber and agriculture policies, describing them as examples of how America is being treated poorly. According to Susan Yurkovich, president of the BC Lumber Trade Council, these types of “disputes aren’t about fact, subsidy or national security. They’re about protectionism.” In other Trade news: US hardwood lumber exports continue to rise; while Brexit is making timber less competitive relative to concrete in the UK. Finally, BC’s Coulson Aviation has scored a first in aerial firefighting worldwide: official approval to suppress wildfires at night using night vision goggles. 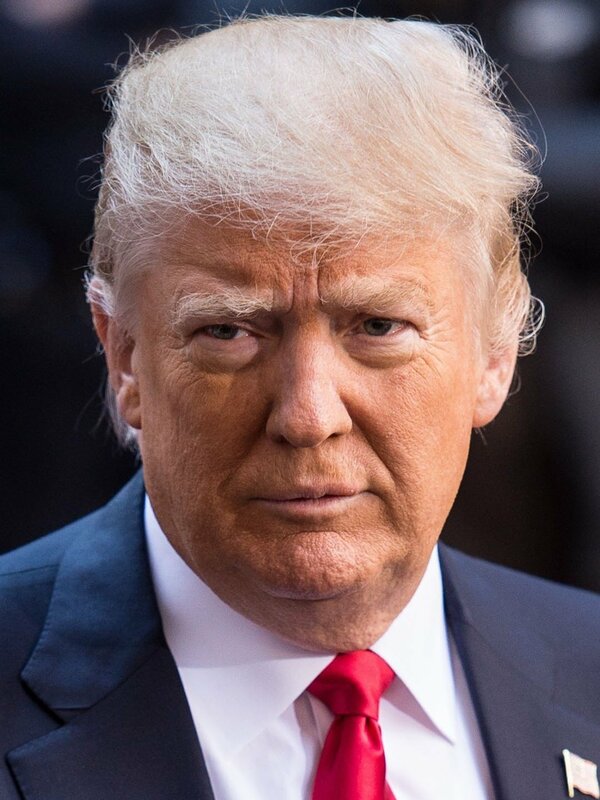 President Trump does not underestimate his fans on Twitter, blasting out comments that assume a deep knowledge of policy on the part of his 52.4 million followers. The last example was Friday’s Tweet about trade with Canada. …While Trump may have “beef” with Canadian bacon is clear focus was the timber industry. Trump did not, however, follow up with any details about problems in timber and lumber trade. Thus, he seems to be assuming that his followers are well aware of the U.S. Department of Commerce’s findings regarding Canada’s exports of softwood lumber to the U.S. Trump’s lumber Tweet also suggests his followers are well aware of his frustration with the failure to renegotiate the North American Free Trade Agreement, a free trade agreement between the U.S., Canada and Mexico signed in 1994. Nanaimo—Today, BC Bike Race (BCBR) and TimberWest signed a two-year access agreement giving BCBR licence to host their annual international mountain biking event on TimberWest’s working-forest in the Cumberland area. For the past twelve years, the BCBR has hosted a seven-day mountain bike stage race along the coast of BC from the mainland to Vancouver Island, across to the Sunshine Coast and finishing in Squamish. …“Responsible and safe access on our working forest is really important to TimberWest,” said Domenico Iannidianardo, Vice President of Sustainability and Chief Forester. “We have such strong ties to the community of Cumberland, and we believe in what United Riders of Cumberland and BCBR stand for in the community – safe, responsible, enjoyment of the working forest! Research identifies growth in hardwood exports and the associated impact on domestic markets. 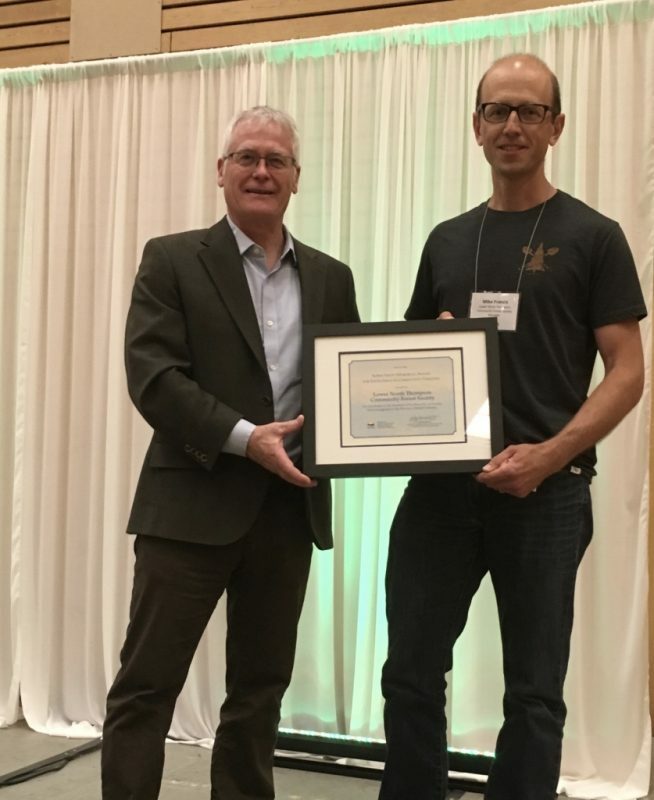 …The Enterprise interviewed Matt Bumgardner briefly to learn about changes in the hardwood lumber industry since the presentation he delivered at the Future of the Hardwood Lumber Industry Conference in November 2016. The most notable trend, since he prepared that presentation, is that exports continue to be a bigger proportion of where hardwood lumber ends up, commented Bumgardner. “Exports are continuing to take a bigger piece of that pie,” he said. Last year was a record year for hardwood lumber exports, noted Bumgardner. In fact, exports have climbed somewhat steadily since bottoming out in 2009 and have surpassed the highs set just a few years earlier. SAGINAW — The owner of the wood products plant destroyed by fire last weekend said the business will be rebuilt. “We are planning to rebuild,” Walter Whitsell said Friday. “We want our business up and going again.” Whitsell said he’s been busy dealing with the aftermath of the fire. “A lot of it has to deal with insurance,” he said. “It’s a bad deal,” he said about the fire. “But we can’t sit around crying about it.” It’s unclear how large the replacement mill would be or how soon work would start. The fire on Sunday night razed the 194,000-square-foot plant in 30 minutes, sending a towering plume of smoke into the air that could be seen throughout much of the southern Willamette Valley. MADAWASKA, Maine–Twin Rivers Paper Company LLC announced today that it has completed the acquisition of the paper mill located in Pine Bluff, Arkansas. Twin Rivers, headquartered in Madawaska, Maine, produces specialty packaging, label, publishing, and technical specialty papers as well as dimensional lumber. It is owned jointly by Atlas Holdings LLC and Blue Wolf Capital. The mill acquired under this agreement produces Multiwall, Converting and Bag-grade unbleached kraft papers serving a variety of food, agricultural, and industrial applications. With basis weights between 40# and 78#, the mill has a capacity in excess of 140,000 US short tons. This acquisition marks Twin Rivers’ second investment in packaging and technical markets in recent years, following the purchase of the paper manufacturing assets of the Burrows Corporation in 2016. UK — Cost and supply issues in the timber industry are turning the tide in favour of concrete fencing products, according to Supreme Concrete’s Sales Director Tim Wright. The leading manufacturer of high performance precast and prestressed concrete says that with timber prices continuing to increase and the news the industry could be hit by a £1billion bill if Britain leaves the EU Customs Union, more builders and homeowners are turning to concrete as a long-life and sustainable alternative, particularly for fencing. Described as the ‘timber tax bomb’ by the Timber Trade Federation, these post-Brexit concerns are combined with a much-publicised rise in timber prices in the last 12 months. 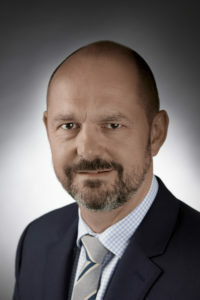 Industry commentators are agreed that this trajectory looks set to continue on its path. Contractors have begun removing defective wooden panels from the George W. Peavy Forest Science Center, an 80,000-square-foot classroom and laboratory building under construction at Oregon State University. The three-story building, the centerpiece of an $80 million Oregon Forest Science Complex, is meant to be a showcase for cross-laminated timber …But the reliability of that new technology was called into question after a 4-foot-by-20-foot section of CLT subflooring delaminated on March 14, causing two layers of the massive seven-ply panel to fall. …An investigation traced the cause of the failure to an issue in the manufacturing process used by panel maker DR Johnson of Riddle, which has since corrected the problem. 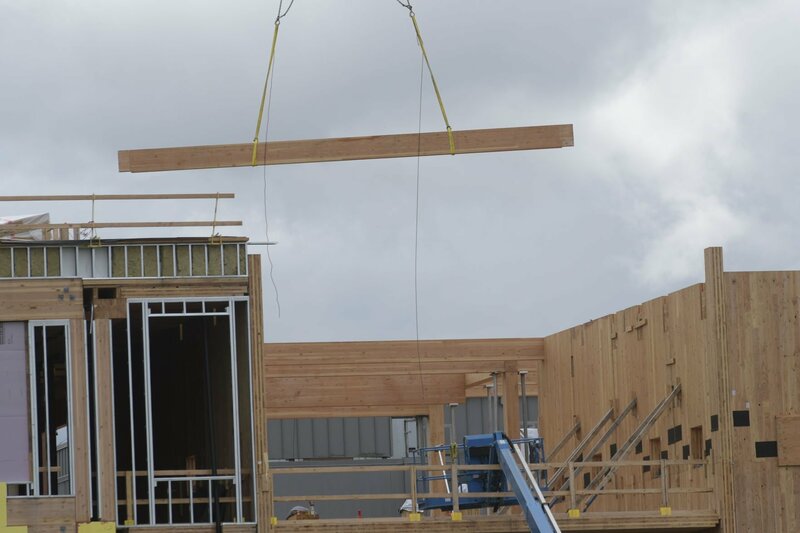 On Tuesday, workers with general contractor Andersen Construction began using a crane to lift CLT panels out of the building and stack them on the ground at the construction site. Every few minutes, a logging truck rumbles through the gates at the Port of Tauranga. More logs arrive by train. The wharves at Mount Maunganui are covered in huge stacks – there are so many logs they’ve had to store them in a yard nearby. All this wood – 5.5 million tonnes of timber went through the port last year – has brought jobs and industry to the area. It’s also brought methyl bromide. Loads of it. The gas is an extremely effective killer of all organisms and is used in small quantities to fumigate imported fruit, vegetables and other products. But by far the biggest users are timber exporters. 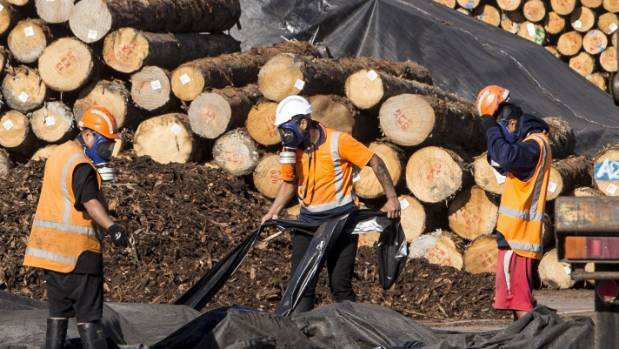 …Our consumption of the fumigant has rocketed from less than 100 tonnes in the early 2000s to around 600 tonnes today, mirroring a timber boom – log exports have tripled since 2008 and are now worth $2.7 billion. There’s a fire truck parked outside the office of Pioneer Log Homes up on the hillside of Williams Lake, B.C. After flames brushed up against the edge of this property last year, owner Bryan Reid isn’t taking any chances. …Reid says it’s been nearly a year since flames threatened the city he has lived in since 1961 and his company still isn’t caught up on orders for new homes. The combination of lost inventory and closing for several weeks during the evacuation order cost the company millions. …About 100 kilometres west of Pioneer Log Homes there’s a sign on the road side that reads, “Tl’etniqox Strong — Firefighter Warriors.” This is where hundreds of members of the First Nation defied an evacuation order last summer to protect their homes from wildfires. …As the Tl’etinqox government prepares for another wildfire season, they’re still cleaning up after the last one. Environmentalists on Vancouver Island are calling on the NDP government to deliver on an election promise to protect old-growth forests. The demand follows the recent felling of huge, ancient trees in the Nahmint Valley near Port Alberni. 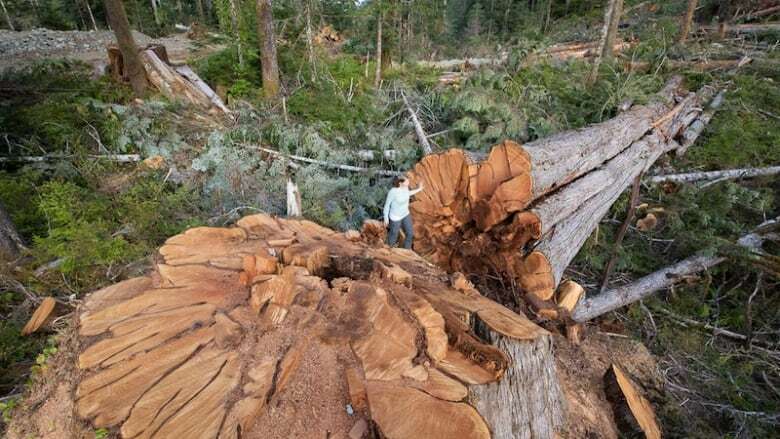 The Ancient Forest Alliance says in late May trees up to 70 metres tall and as wide as three metres in diameter were cut down as part of logging on Crown land made possible by the government agency B.C. Timber Sales (BCTS). …In January, the BCTS implemented a best practices management plan for coastal legacy trees …It sets guidelines for loggers to spare yellow cedar, coastal Douglas fir, sitka spruce and western red cedar. For example, a Douglas fir with a diameter of at least 2.1 metres must be preserved. … the BCTS document also includes operational factors, such as safety hazards, that allow legacy trees to be felled. Managers of McBride and Valemount’s community forests are positive about changes announced by the Province last week that would make it easier to expand community forests. In a press release, Forest Minister Doug Donaldson said that expanding community forests by 100 hectares would follow a simplified process. Expansions greater than 100 hectares would also be allowed, but would require a thorough process including a management plan and community engagement. 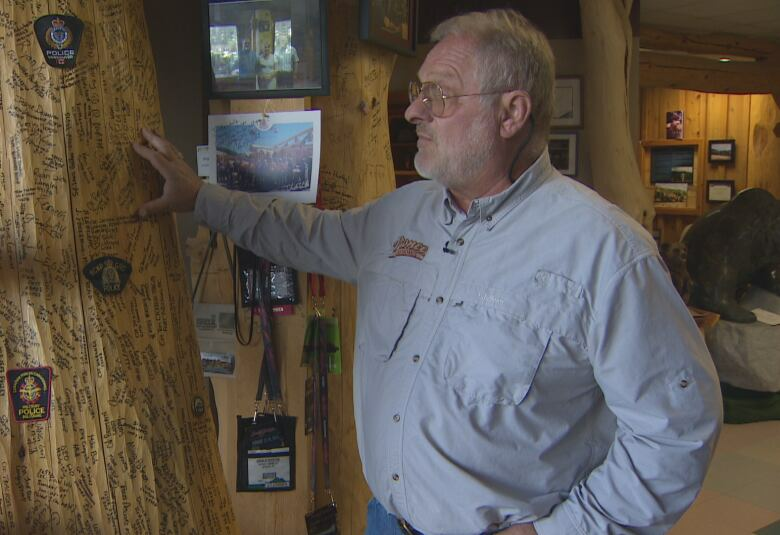 …For Eugene Runtz, manager of the McBride Community Forest, it is welcome news. He feels the community’s tenure is beset by limitations. “Right now we are harvesting cedar at a rate we can’t sustain much longer,” he said. Runtz wants the McBride Community Forest to expand into an area he calls Prince George East and he said these new measures from the government may provide them the opportunity to do it. Coulson Aviation has scored a first in aerial firefighting worldwide: official approval to suppress wildfires at night using night vision goggles. The go-ahead comes from emergency management authorities in the State of Victoria, Australia, said CEO Wayne Coulson. Coulson Aviation’s S-61 Sikorsky helicopters begin flying night operations this fall using the goggles (NVG). “We see where it could be a significant advantage,” Coulson said. “We’re in rarefied air when it comes to night vision goggles, the first company in the world approved to fly with them.” NVG, pioneered during the Second World War, has been used primarily aboard military aircraft. The infra-red technology is touted as a strategic advantage in controlling wildfire since it has the capability of extending operational hours at a critical time of day when wind, temperature and humidity are optimal. Splatsin First Nation has picked up a national honour. The Splatsin Development Corporation (SDC) received the Forest Products Association of Canada (FPAC) — Canadian Council for Aboriginal Business (CCAB) 2018 Aboriginal Business Leadership Award in Ottawa. The FPAC and the CCAB 2018 Aboriginal Business Leadership Award recognizes and celebrates First Nations entrepreneurs for their success in a forest products business that exemplifies business leadership, exceptional environmental and safety performance and the delivery of high-quality products and services. The award nominees are judged against six criteria: business leadership, longevity in the sector, employment of Aboriginal peoples, safety and environmental performance, consistency of goods and services provided and commitment to the Aboriginal community. While community forests provide the opportunity for residents to use dividends from timber harvest profits to pay for some important local projects there are also many other concerns associated with the annual harvest plans. On May 23 of this year, I attended the Tatla Resource Association (TRA) annual general meeting (AGM) in the Tatla Lake community hall. As a summer resident of the area for more than three decades, I am allowed membership and voting rights in the TRA. One of the main functions of the TRA is to jointly manage the Eniyud Community Forest (ECF) along with the Alexis Creek First Nation. Based on a 2008 inventory and analysis the 115,000-hectare community forest had a timber harvest land base of 44,048 ha and annual allowable cut (AAC) of 40,000 cubic meters. B.C. has already experienced extreme floods throughout the month of May and in the current fiscal year, 241 fires have been recorded provincially, totaling 34,370 Ha. of forest burnt. These extreme events make the Wildfire and Climate Change Conference, taking place in Nelson, from June 26-28, 2018, very timely. The conference is being organized by the Ministry of Forests, Lands, Natural Resource Operations and Rural Development and the Slocan Integral Forestry Cooperative (SIFCo). Conference attendees will learn about local, national and international initiatives to address the growing challenges associated with climate change and wildfire behaviour, and the importance of creating fire-resilient ecosystems. Presenters are coming from as far away as Oregon and New Mexico. KIRKLAND LAKE – During this Tuesday’s council meeting, Interim Chief Administrative Officer Wilf Hass will recommend council direct staff “to initiate a process to harvest timber on municipally owned lands, including public consultations and the release of a subsequent Request For Proposal. In his report Hass states “in 2009, the Department of Economic Development recommended undertaking a review of municipal lands to determine timber values. This was based on a common assumption that the municipality’s large rural land holdings included significant, easily accessible wood reserves. The analysis demonstrated that this was not necessarily true; in many cases the wood was of limited value due to such factors as size, age, composition, location, etc. However, there were pockets of significant value that could be harvested. A tethered logging system requires fewer workers, but eliminating timber jobs wasn’t why Andrew Siegmund invested in the technology. As the number of loggers declines over time, those who remain in the industry are best deployed to areas that are inaccessible to machinery, said Siegmund, head of Siegmund Excavation & Construction of Stayton, Ore. “It can’t do everything. You still need timber fallers, you still need choker setters,” he said. “There’s less and less of them, so you want to utilize them where they’re most needed.” With the system used by Siegmund, a feller buncher can descend slopes of up to 100 percent while attached with two heavy cables to a modified excavator “base machine,” which serves as an anchor. To compare, regular untethered logging machinery can operate on slopes of 30 to 50 percent. GRANTS PASS, Ore. –“Hup. Hup. Hup,” yelled Nick Rodgers, hanging on to ropes attached to his Belgian workhorse Maggie, who strained up a hill pulling a several-hundred pound log. “That’s a lot of horsepower,” said Vince Randall, Bureau of Land Management forester, overseeing logging of bug-infested trees at Cathedral Hills Park south of Grants Pass. Rodgers and his nephew, Bennett Rodgers, horse loggers from Butte Falls, hope to get three or more truckloads of saleable timber out of the project. They consider any job with at least a truckload worthy of their time, with the current high timber prices. Pointing to a century of forest management policies that’s left a “blanket of trees,” and hotter, drier climes, a U.S. Forest Service researcher says destructive summer wildfires have no sign of stopping. To a crowd of area firefighters and two dozen concerned locals, landscape ecologist Paul Hessburg of Wenatchee, Washington, said wildfires that burn more than 100,000 acres are a “reality for the forseeable future.” And, he said, the situation will get worse long before it gets better. At his multimedia “Era of Megafires” presentation at the Smullin Center in Medford, Hessberg cited a mix of climate change and social issues as underlying reasons he expects the average number of acres burned will double or triple by the middle of the 21st century. How Much Of The Chetco Bar Burn Should Be Salvage Logged? Managers at the Rogue River-Siskiyou National Forest are weighing how much of the area burned in Oregon’s largest fire last year should be salvage logged. But while harvesting partially burned trees will put cash in local pockets, the forest health and fire safety benefits that proponents claim are more elusive. The Chetco Bar fire was barely out last fall when Curry County Commissioner Court Boice began urging salvage operations. So you might think Boice would be pleased that the Forest Service is gearing up to get the chainsaws running this summer … He’s not. …Of the 25,000 or so acres of those lands in the burn zone, managers proposed logging on just over 4,000 acres of moderately to severely burned forest … Boice says much more should have been made available. NEPAL — The study, ‘Socio-economic Factors and Management Regimes as Drivers of Tree Cover Change in Nepal’, mentions that while the country lost forest cover of 46,000 hectares, it gained 12,200 hectares of forest in that period, indicating that the total forest cover loss was 33,800 hectares. 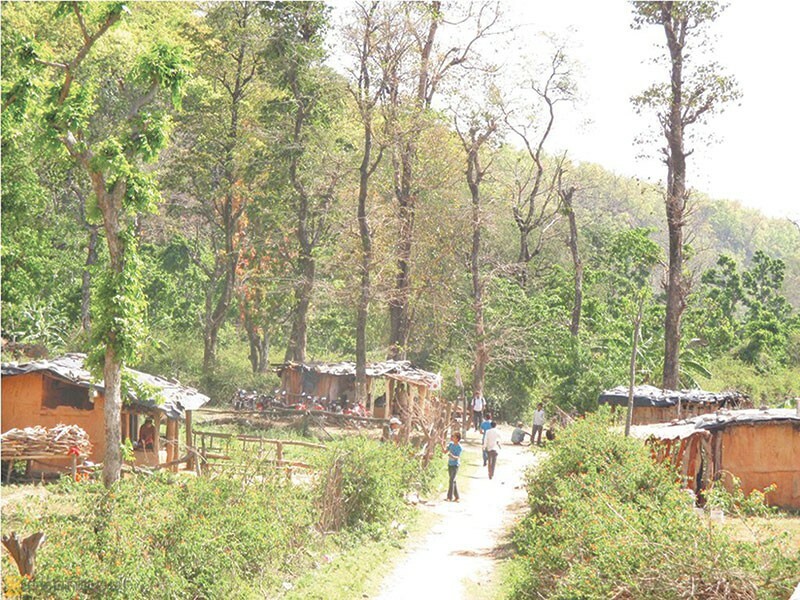 The country has total tree covered area of 4.74 million hectares in 2000 before the research began. 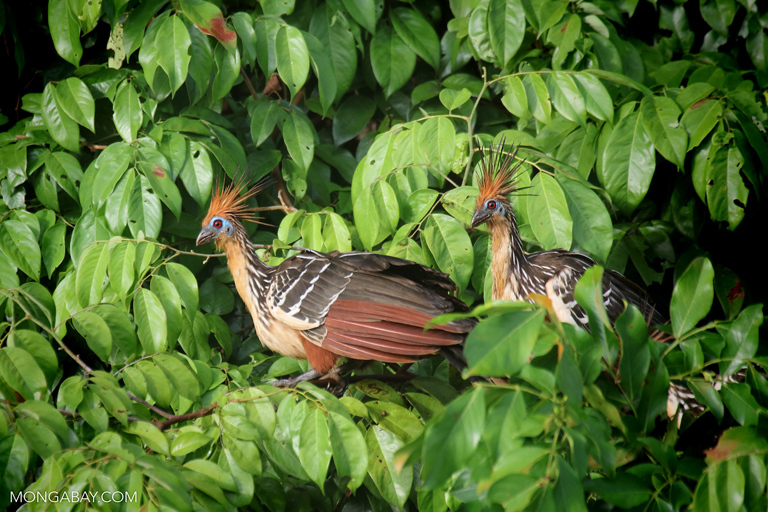 The study was recently published in the biodiversity and conservation section of the PeerJ, an international online journal. The study, jointly co-authored by three scholars including two Nepalis – Sujata Shrestha and Uttam B Shrestha – for an American and an Australian university. AUSTRALIA — The great bulk of new reserves set aside by the Berejiklian government for koala habitat offer no new protection for an animal whose numbers are plummeting in some regions of the state, new mapping analysis shows. The government last month hailed the release of its $45 million koala strategy as “the biggest commitment by any state” to protect the “national treasure”. But mapping details obtained by environmental groups show 82 per cent of the reserves being set aside were already designated Forest Management Zones offering koalas protection. Worse, just 2 per cent, or 554 hectares, were deemed high-quality koala habitat according to the government’s own modelling. Droughts aren’t usually a problem for rainforests, which, as their name implies, are generally typified by lots of precipitation. But in the past few years, there’s been a noticeable drying trend in parts of the Amazon, one that scientists fear will only intensify as climate change ramps up. What exactly this means for the Amazon rainforest isn’t completely clear. But a new study sheds some light on this mystery. It finds that droughts will likely be harder on shorter, younger trees than on taller, older ones. But, conversely, smaller trees seem to be better at coping with higher temperatures. …They discovered that photosynthesis in forests comprised of trees that are shorter than 20 meters is three times more sensitive to rainfall inconsistency than forests where trees average 30 meters or more. Wildfires stoked by low humidity and high temperatures raged in northern New Mexico and southern Colorado on Saturday, threatening nearly 1,900 homes and forcing the evacuation of hundreds of residents from remote communities, fire officials said. The two fires, about 250 miles (400 km) apart in the drought-parched Four Corners region of the Southwestern United States, have consumed nearly 32,000 acres (12,000 hectares)between them. The larger of the two, the so-called Ute Park Fire in Colfax County, New Mexico, was zero percent contained after scorching some 30,000 acres by Saturday evening near Cimarron… About 300 structures were threatened in Cimarron, where officials issued a mandatory evacuation on Friday. The town lies just northeast of the Santa Fe National Forest, which was indefinitely closed to the public on Friday in a rare measure prompted by the heightened fire risk from prolonged drought. The 8th Canadian Bioeconomy Conference and Exhibition begins Wednesday, June 6 in Prince George, BC, with a full slate of professional learning, business development and networking opportunities for industry leaders from across North America. The event begins with two pre-conference workshops on Wednesday. The Wood Pellet Association of Canada and WorksafeBC host the Wood Products Safety Summit. The summit will delve into the key issues around process and operations safety issues for all parts of the wood products industry, including lumber, pulp and pellets. As part of the EU-funded SteamBio project, researchers from the Fraunhofer Institute for Interfacial Engineering and Biotechnology IGB, together with ten other project partners from four European countries, developed a new technique to adapt wood chips for transportation and storage. “Instead of transporting the biomass as wood chips,” explains Siegfried Egner, department head at Fraunhofer IGB and coordinator of the SteamBio project, “we torrefy it: we heat the biomass in a steam atmosphere without oxygen. 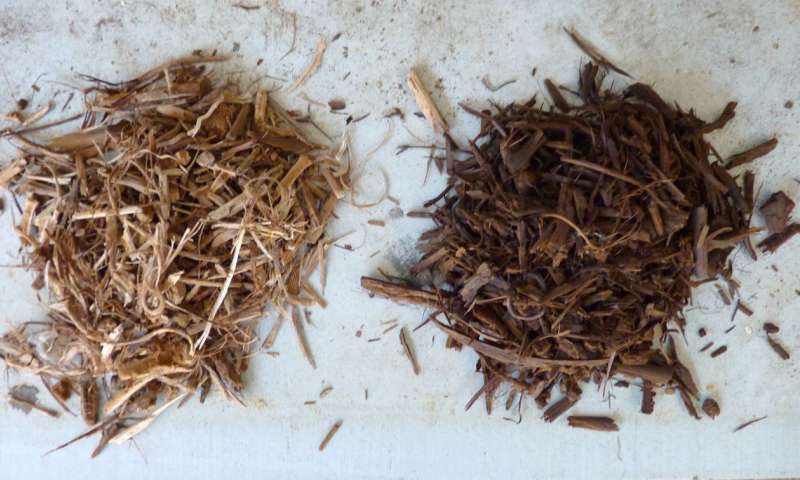 The biomass has three main components – cellulose, lignin and hemicellulose – and this process eliminates the hemicellulose completely.” This significantly reduces the weight of the material, improves its specific calorific value and allows us to grind easily the material into a highly reactive powder. …It can be transported in open bulk containers, since rain beads off the surface without penetrating the interior [and] is significantly lighter than the untreated material, which significantly reduces transportation costs. Logging truck safety is always an issue in forestry communities. Powell River has been fortunate not to have a recent accident involving one of the large vehicles, but odds are it will happen eventually. 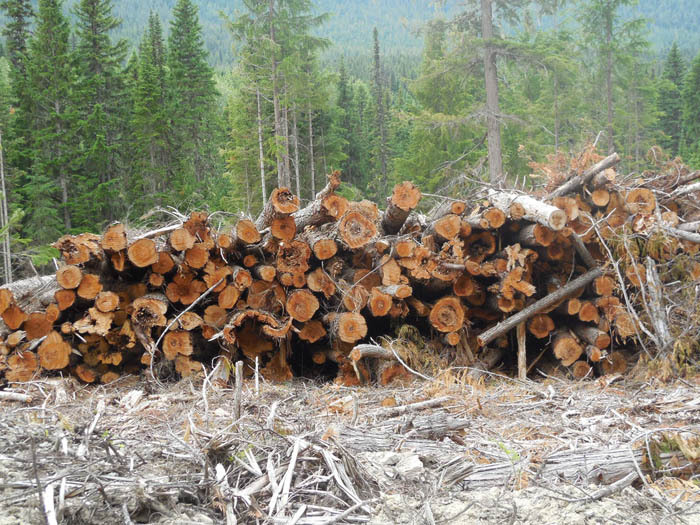 City of Powell River councillor Maggie Hathaway said as much when the issue of log haulers and public safety was brought before committee of the whole on May 1. Jerry Eskes, representing a group of Cranberry ratepayers, 25 of whom were in the public gallery, pushed for action on logging trucks going through their neighbourhood. Eskes said rigs from logging activity in the Inland and Haslam lakes area use Cranberry Street a dozen times a day. He said he sees a colossal problem for the city to try to come to terms with full and empty logging trucks going through the city to log sorts north and south of town. Safety consultant explores the top ten OSHA violations for 2017 and identifies some things that pallet and lumber companies can do to avoid these problems. If you want a safer workplace, and to avoid fines at the same time, knowing the top ten most cited safety violations can be a great first step to a better, safer facility. The top ten list of violations recorded by the Occupational Safety and Health Administration (OSHA) are fairly similar from 2015 to 2017. And the reason is that these are often ignored trouble spots. …When reviewing these violations to the standards, without a doubt, the most common non-compliances that I see are the employer has no written safety program required to meet the basic requirements of the standard, has failed to provide adequate safety training relevant or has not enforced the standard.